Sometimes the best solution is the simplest one, and that definitely applies to rice water. 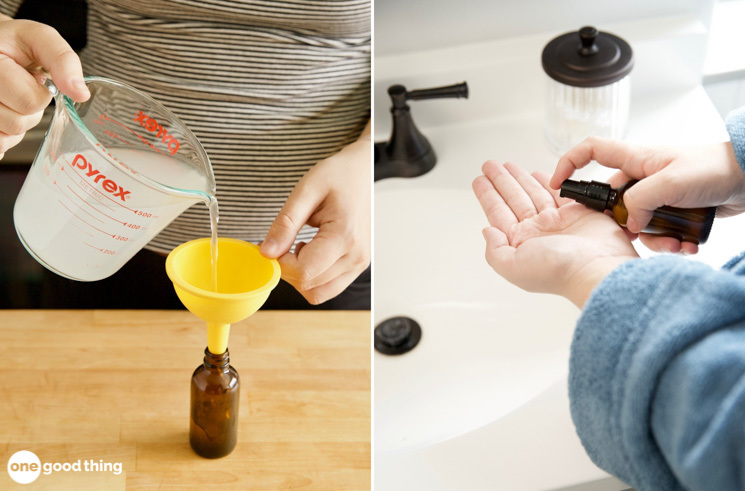 Learn why beauty experts are raving about rice water, and find out how easy it is to make at home! Like many of my posts, today’s post was born from a discussion that took place amongst the OGT Team. Specifically, this was a conversation about whether or not you should rinse your rice before cooking it. While I’ve heard that some people rinse their rice, I’ve personally never really made an effort to adopt the practice. It just never seemed necessary! But it turns out that there are real benefits to rinsing rice, and not only in terms of the rice itself! While rinsing your rice can produce a less sticky and starchy bowl of rice, it’s also a crucial step in making rice water. And in case you haven’t heard, rice water is supposed to have all kinds of beauty benefits for skin and hair! What’s So Great About Rice Water? Rice water has many properties that make it an excellent addition to your skin and hair care regimens! It is loaded with vitamins, minerals, and amino acids that are essential for maintaining healthy, beautiful skin. Rice water contains the nourishing antioxidant ferulic acid, as well as allantoin, an organic compound that helps soothe and heal skin. As far as hair benefits go, rice water contains inositol, a carbohydrate that helps strengthen your hair and reduces surface friction. With all these beauty benefits, it’s no wonder that so many people are are buzzing about rice water! Here’s how you can make your own at home. Start by rinsing the rice under running water to remove any dirt or impurities that might be clinging to it. Next, place the rinsed rice in a bowl and cover it with a couple of cups of water. Swirl the rice around a bit, then let it soak for 15 to 30 minutes. Strain the rice away from the rice water and set aside. Pour the rice water into an airtight container for storage. It will keep in your fridge for one week. To Ferment, Or Not To Ferment? Some people believe that fermented rice water has even more beneficial effects than the non-fermented stuff. If you want to give it a try for yourself, just leave your finished rice water out on your counter for 24-48 hours. Use rice water to cleanse your face for softer, more radiant looking skin. Just pour some onto a cotton pad and massage it over your face, then allow your skin to air dry. Use every day as part of your skin care routine, or a couple of times a week to give your skin a boost of vitamins and minerals. Rice water makes a great toner! Just pour a bit of it onto a cotton pad and apply to clean skin. It helps tighten skin and minimize pores, keeping your skin smooth and bright. The soothing effect of rice water makes it a great treatment for acne. It will help reduce redness while acting as an astringent, which will help prevent future breakouts. The starchy content of rice water can be really useful for easing the discomfort that comes along with eczema. Just dip a clean washcloth into the rice water, then pat the damp cloth over the affected area. Continue for a couple of minutes, then allow your skin to air dry. Eczema isn’t the only skin condition that can benefit from rice water! A 2002 study found that patients with atopic dermatitis who bathed in rice water twice a day experienced a 20% improvement in skin healing! The next time you have itchy or irritated skin, try a rice water bath. Just add 1-2 cups of rice water to your bath, then take a nice long soak. Rice water can help reduce inflammation and redness in cases of sunburn. To make it extra soothing, take your rice water out of the fridge and apply it the sunburn immediately using a cotton pad. Rinsing your hair with rice water can add shine to your hair and help keep it strong and healthy! After shampooing and conditioning your hair, pour a generous amount of rice water over your hair. Gently massage it into your scalp and hair, then rinse thoroughly with water. Do a rice water rinse once or twice a week as a final rinse for strong and healthy hair. Rice water can also be used to condition your hair! After shampooing, apply rice water to your hair along with a few drops of lavender essential oil or rosemary essential oil. Let the rice water sit in your hair for 10 minutes, then rinse with cold water. Have you ever used rice water on your skin or hair? Quality of the rice makes a difference. Use organic. Also, Uncle Bens doesn’t count as “rice”. Leona, I do not have, nor have I had a print friendly button in probably well over a year. I contacted Jillee and she got back with me on it but it just went away , I sure wish I could still print. I have a 3-ring binder full of articles I have printed from her posts, but I finally gave up. Good luck. I’m so sorry Gail – have you tried opening the blog post in a different browser? My computer won’t let me print this. Further the “printer friendly” version shows huge photos that I do not need /want to save. That just takes up ink and paper and makes it harder to work with. Please consider posting a version with just words and small pics if really needed to complete the recipe. That’s what I was trying to say earlier is the arsenic is in the soil .Dr Oz did a show about this . Please people. use common sense and do your research. Rice has arsenic, therefore, so will the water. Why would you use the water on your face? …and for that matter, why would you even want to eat the stuff!? Great point, Lynn. Thank you! Why would you use something when you rinse the impurities from the rice and use it rinse it on your skin and hair. I use coconut oil and olive oil internally and externally and its good for your skin and hair. I have used basmati brown rice water as a hair rinse. I noticed that my hair does not fall out as before. What kind of rice is best? Can you use brown rice? Has anyone tried for exczema. I have an ugly rash on my legs. It’s improved since I’ve cut back on gluten, but it’s still there. I’ve heard all rice naturally will have some arsenic because of the way it’s grown. Some varities contain more than others. I think even white may have some levels. Maybe not as much as brown. it all has the arsenic in it. Try an oatmeal mask made simply from steel cut oats and water. Let it cool and apply it to the effected area for 5 minutes then rinse off with cool water, pat dry gently and moisturize with argan oil, shea butter or coconut oil. Hope it helps!